Hola Craig Art fans! This is the estupendo–the illustrious–Señor Tortuga. For those of you who don’t know me, I am the former pet of a generous Earl, who left his title and fortune to me upon his death, making me the first turtle of leisure. I’ve decided to take a break from my travels to check in with Noah Craig in the Drawing Room. He doesn’t seem to be around, so we’ll sneak a peak at what he’s working on. This is quite a beautiful artistic space he has. Nice light. Nice amount of space. Nice view of woods. Very quiet. There seems to be quite a bit of projects happening. 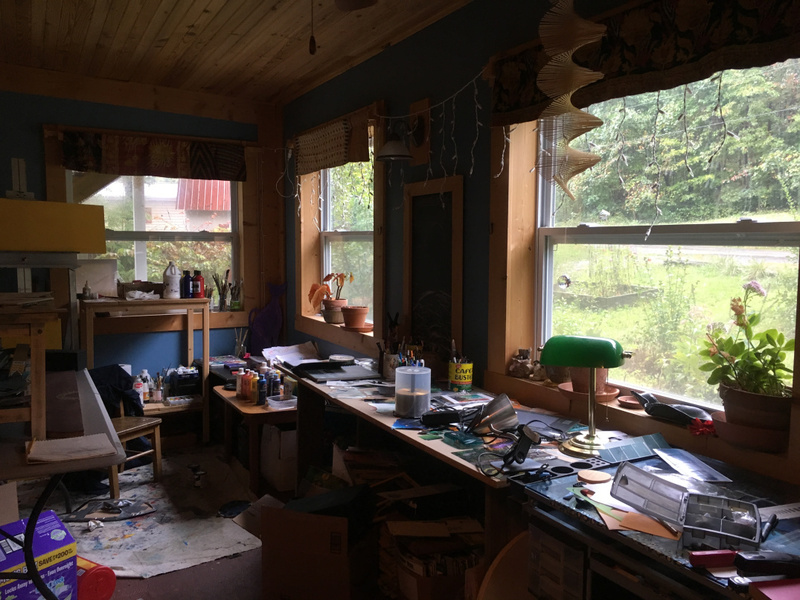 I see some paintings, clippings for a collage, colored lanterns, a framed photo of Tom Selleck from Magnum P.I., and an infinite array of pencils, colored pencils, and markers. Quite the eclectic commission. I wonder if he’d be willing to do one chronicling the evolution of the turtle from the slow crawler to the glorious sentient creatures we are today. I’ll leave him a note mentioning it. As usual, everything here looks wonderfully done. Hopefully next time I’ll have a chance to sit down with him and ask him all about his process. Until then, I leave you for a riverboat tour of the Rhine’s castles.